Portraits of a Changing Landscape. Charity Vargas, 2008. Unpaged, 58 black & white illustrations., 12x9½". Ms.Vargas came to live in the Presidio three years ago during this momentary pause in its long life. She started exploring the complex old post looking carefully and lovingly at its gentle sleep and slow but steady revival as a national park with a new civilian community living and working here. 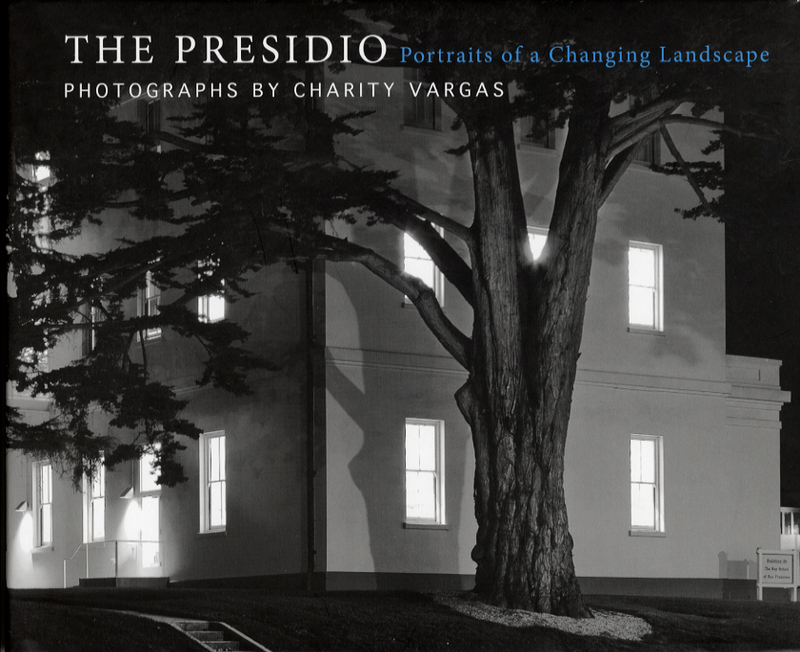 She has an eye for what it essential about the Presidio: the very American ordinariness of its military architecture and the strange “wildness” of its man-made forests. Many of her images put the two together in a new way, as a filigree of evocative shadows cast on the “screens” of plain white walls. They almost seem like photographs of photographs with the building walls the film on which the fugitive shadows are cast. Photography - literally writing with light - here becomes writing with shadows with the unseen light source behind us.